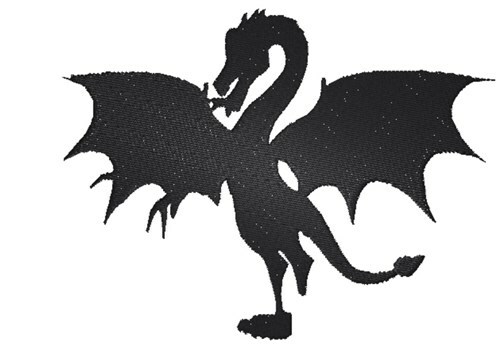 Any lover of the fantasy genre will appreciate this dragon silhouette design! Stitch it onto a yard flag, t-shirt or game bag. King Graphics is happy to present Dragon Silhouette machine embroidery design which has 11494 stitches and is [128.78 mm x 98.30 mm] large. If you would like to view more embroidery patterns please search on our embroidery designs page.